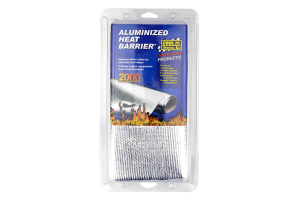 The Aluminized Heat Barrier is made up of woven silica with a flexible aluminized finish. The highly-reflective surface of the material is capable of withstanding radiant temperatures in excess of 2000°F and conductive heat temperatures of 750°F. 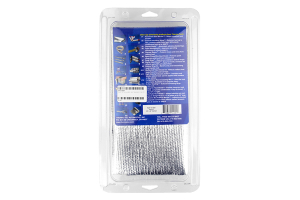 This product can be installed using standard rivets with a backup washer or weather strip adhesive. This flexible high-temperature material makes it an excellent choice for any application when a versatile heat control product is needed. 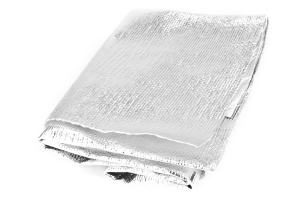 For conductive heat applications, the fabric side can handle temps in the range of 350-1200°F. 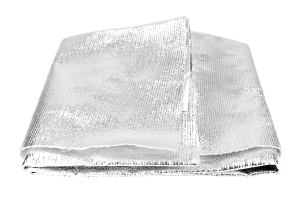 When used as a heat shield, the Barrier should be installed so the bright metallic surface faces the heat source. When used to retain heat, the fabric fiberglass side is on the surface.